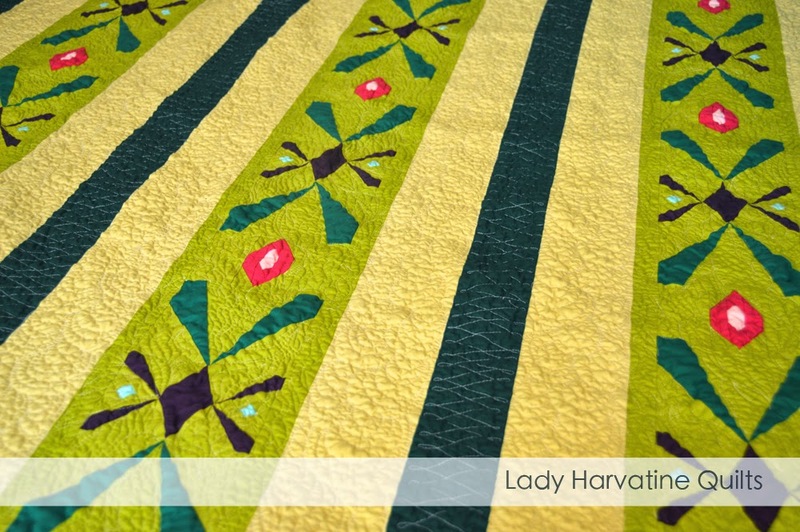 Lady Harvatine: Anna Lap Quilt - New Pattern! 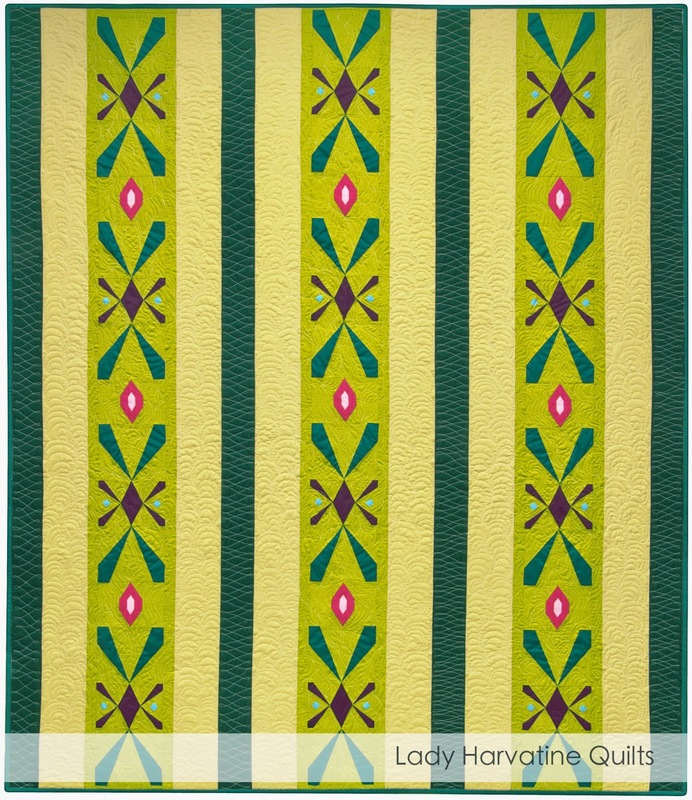 Anna Lap Quilt - New Pattern! Like every nine year old girl in the US (and possibly the world), I have been digging the movie Frozen, ever since we took Ginny to see it last fall. I love the music, I love the animation and man, do I love the costumes! The dress that Anna wears to the coronation seemed ripe for transforming into a quilt. Ta-da! The Anna Lap Quilt. This quilt is made with Robert Kaufman Kona cottons and it's my first paper pieced pattern. The pattern includes a list of all the Kona colors I used. If you've never paper pieced before don't be scared off! It's an easy way to do more intricate piecing and as you're sewing directly on printed paper foundations being precise is a cinch. I've included basic paper piecing instructions in the pattern. The pdf pattern is now available in my shop! Omg! It's fabulous! Does the pattern list which Konas you used?